There are between 80 to 100 species of lilies (Liliaceae), and most are native to the Northern Hemisphere in Asia, Europe and North America. The bulbs produce leafy stems and large flowers, some of which are strongly scented. Lilies have been treasured throughout history for their beauty and perfume, and they serve as an important cultural symbol. In Greek mythology, the lily was the flower of Hera, wife of Zeus, and was supposed to have formed from the milk of her breast. In Roman mythology, Venus, goddess of beauty, was supposedly so jealous of the flower’s white loveliness that she caused a huge pistil to grow from its center. The lily flower was considered sacred in the Minoan civilization, and a painted image of one dating to about 1580 B.C. was found in Crete. The flower is mentioned in both the Old and New Testaments. The lily became a symbol of purity and chastity in Christianity and became associated with the Virgin Mary. It was also a representation of death and symbolized the loss of innocent children and the martyrdom of saints. During the Victorian era, European plant explorers, mostly British, scoured the globe for “new” plants and discovered many new species of lily. One of the first was an Irish doctor turned botanist and explorer, named Augustine Henry. Originally more interested in finding medicinal plants in the Orient, he became captivated by the search for exotic flowers. The orange Lilium henryii, or Henry’s lily, is named after him. Another famous plant explorer was an Englishman named E.H. Wilson, who found so many plants in China that he earned the nickname “Chinese Wilson”. One of his most notable discoveries was the white Lilium regale, the regal lily. The Easter lily, Lilium longiflorum, is a native of Japan. Production in the United States began when an Oregon soldier named Louis Houghton returned home from World War I with some of the bulbs and shared them with fellow gardeners. When World War II began and Asian sources of the bulbs were cut off, the Easter lily became scarce and expensive. American lily nursery production skyrocketed. By 1945, 1,200 lily growers were in business along the West Coast. Before they were extensively hybridized, lilies were rare and could be difficult to grow. Jan de Graaff, a native of Holland who started Oregon Bulb Farms in 1934, was responsible for many of the dependable hybrids so popular on the market today. Although the lily has no real pharmaceutical value, it was commonly believed to have magical qualities. Elizabethan-era medical texts recommended using the lily to treat fever, wounds and arthritis. 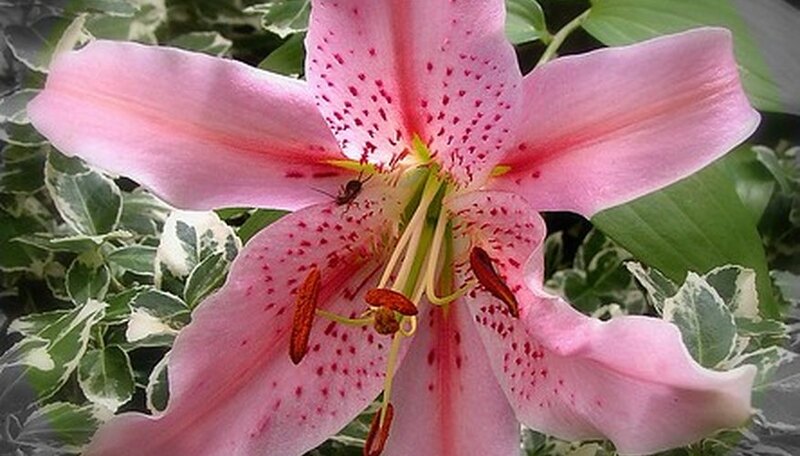 Lily bulbs are starchy and have long been used in cooking in China. They are a frequent ingredient in the local cooking of Shanghai.